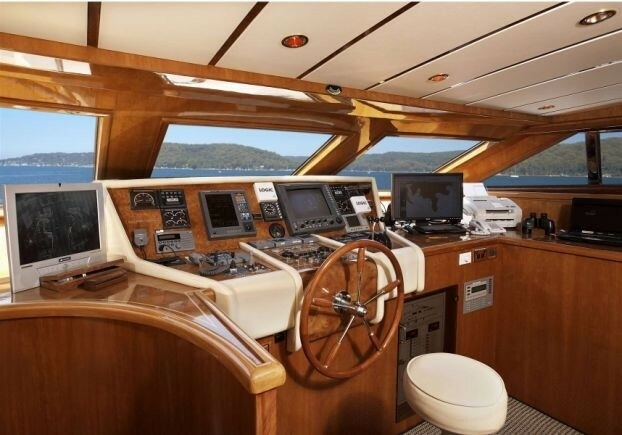 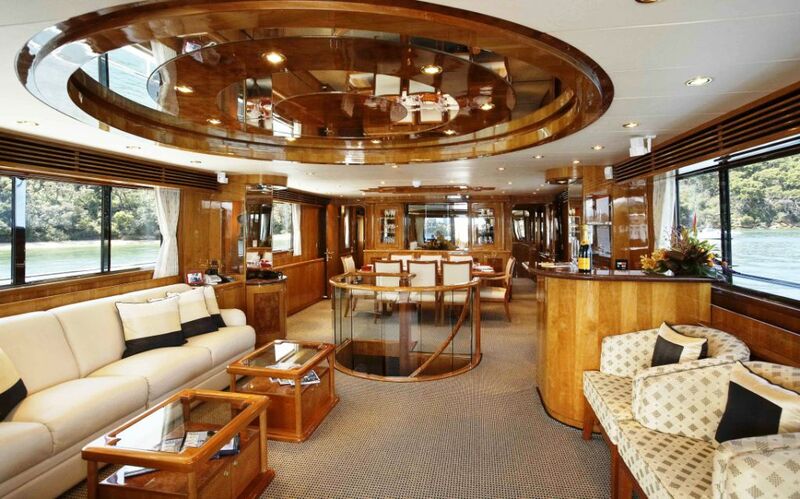 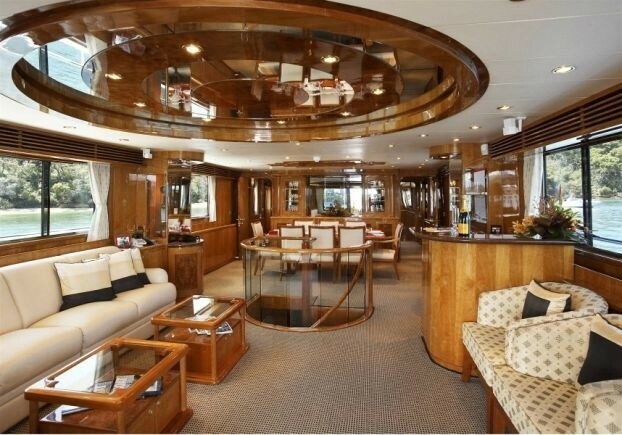 Luxury motor yacht Hillsy is a 29m (97' 9") Monte Fino Trader built in 2001 and had a major refit in 2007-2008. 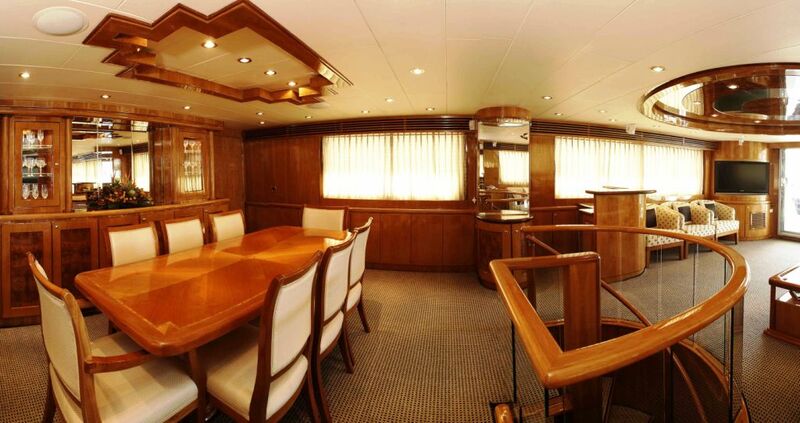 She can accommodate up to 8 guests in 4 air conditioned cabins. 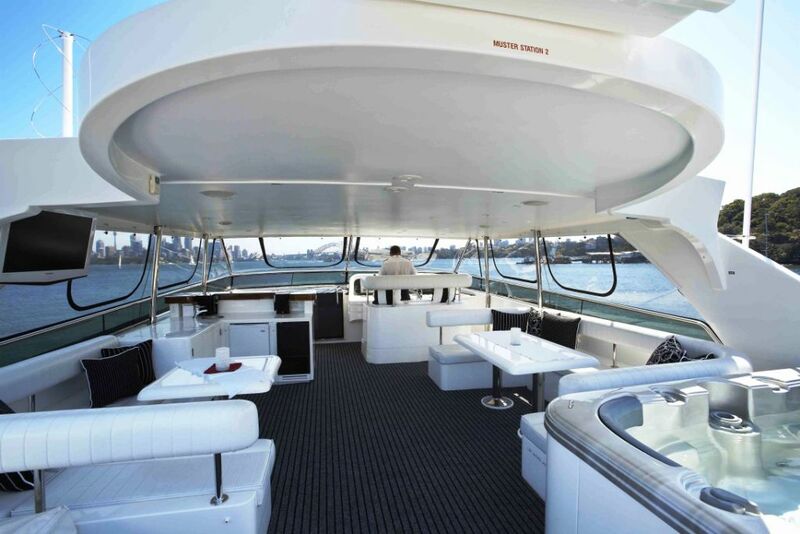 Hillsy has a modern and open plan interior with large windows, giving a spacious and elegant feel. 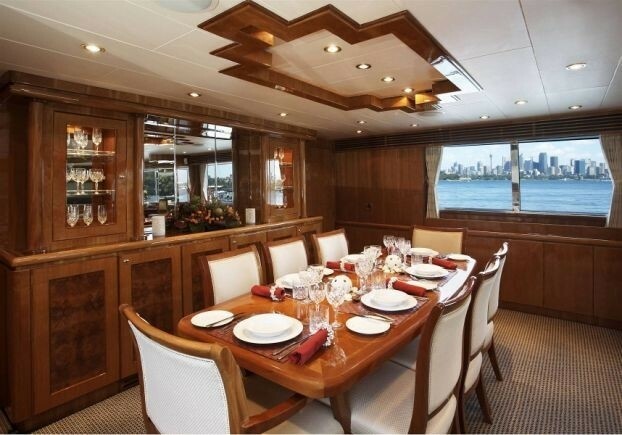 The luxurious saloon and dining room is furnished to an exceptional standard. 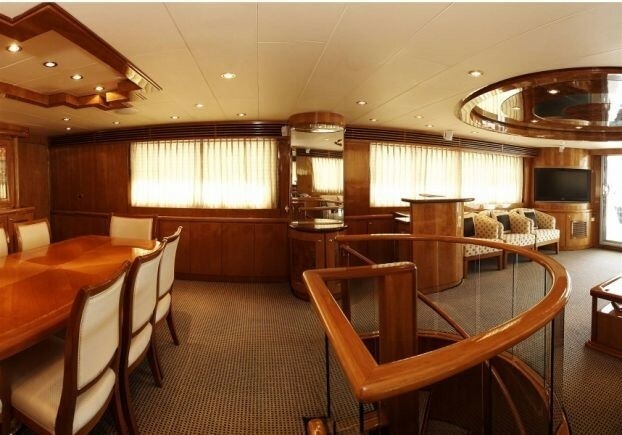 She has Satellite TV, a state of the art home theatre and sound system and a large dining table for the indoor entertaining of 8 guests. 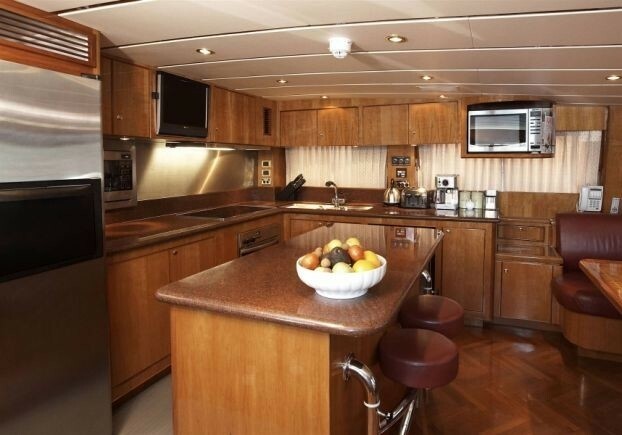 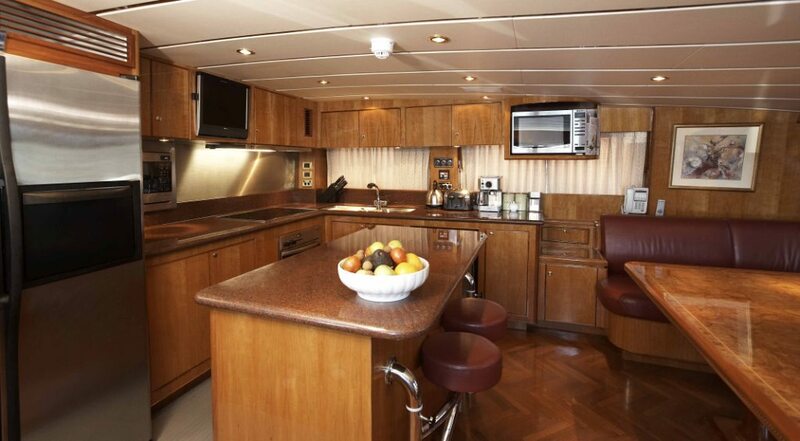 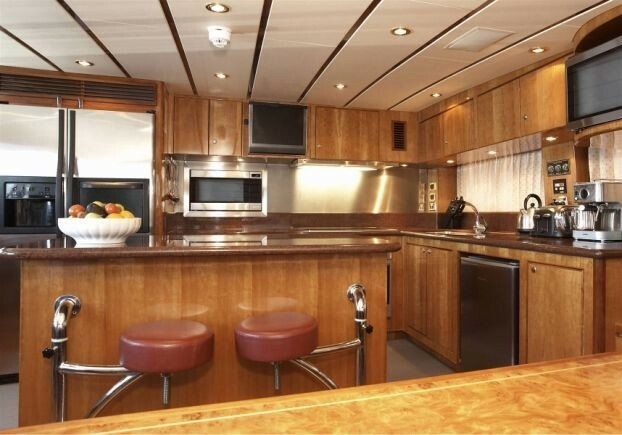 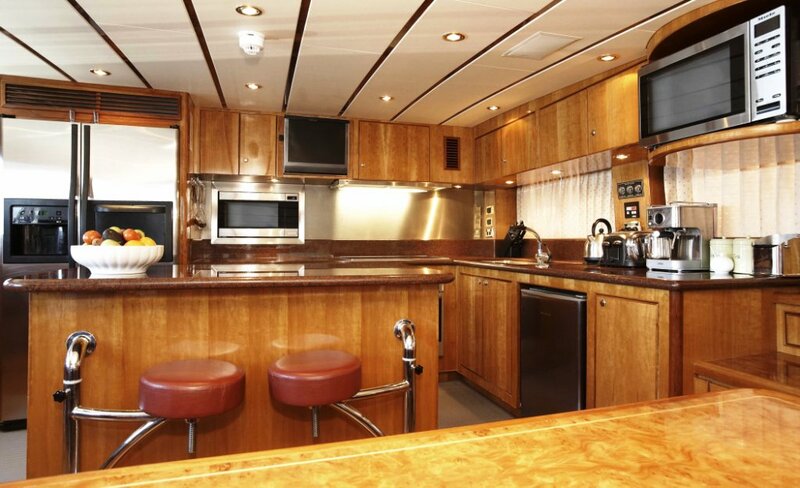 Hillsy Galley is large and equipped with modern conveniences and a great Chef to ensure fantastic cuisine. 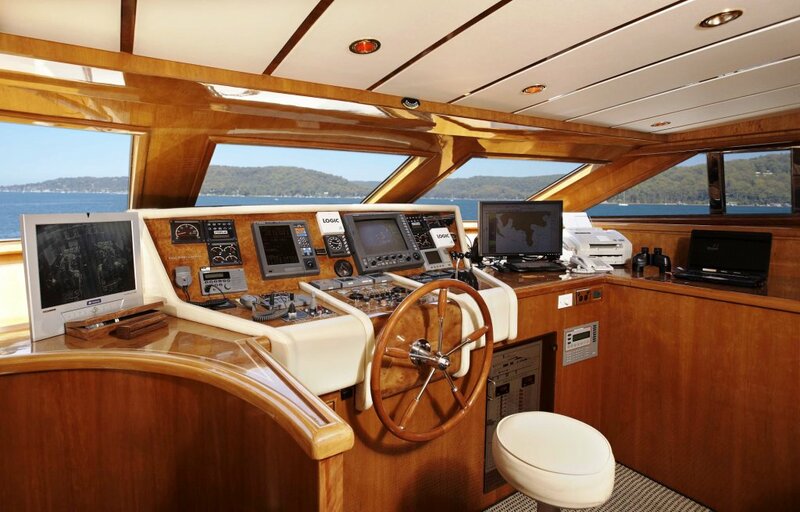 The wheel house is professionally appointed to navigate the most challenging locations in the world. 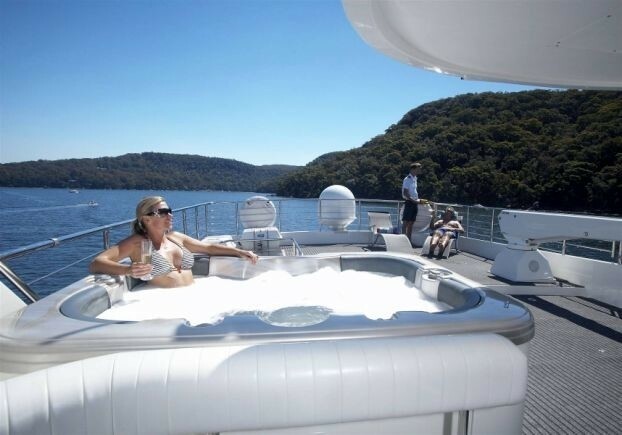 She also boasts a broad range of water toys for all ages including a water trampoline for children (or adults! 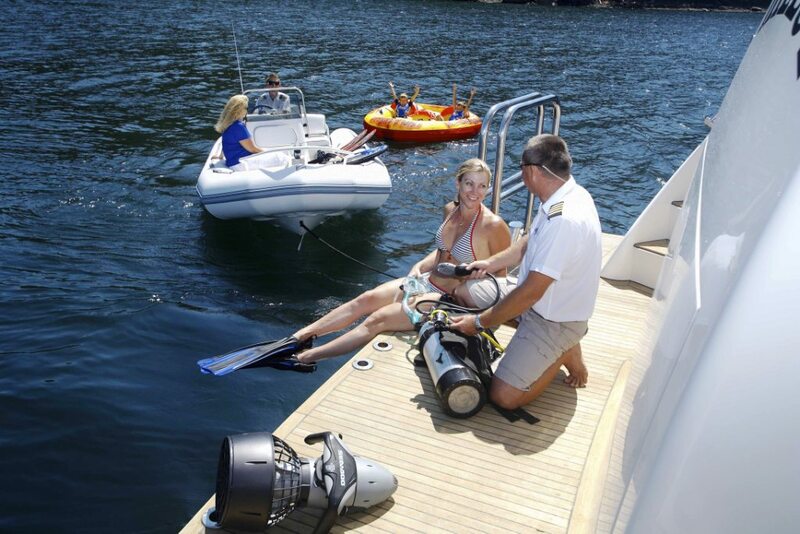 ), 2 remote controlled sailing yachts, a1200cc jet ski able to seat 3 and a 4.8 mt zodiac perfect for towing guests on skis or wakeboards. 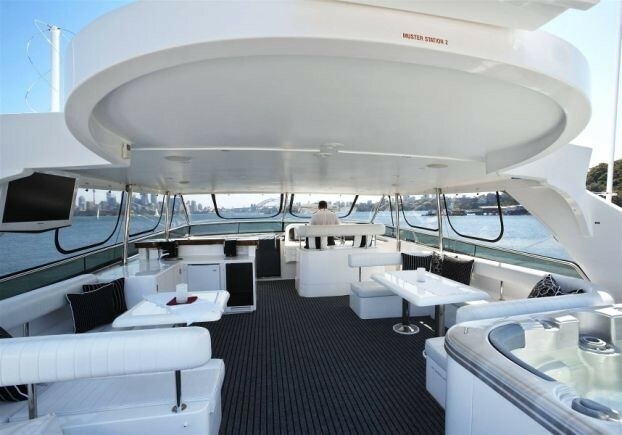 Her large swim platform provides the perfect access area for the water sports entertainment. 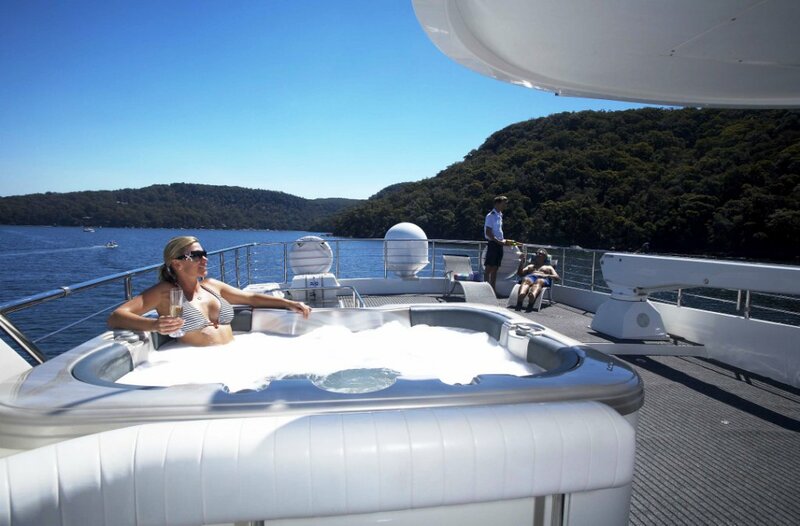 On top of all this, she has a full-size Spa Pool on the top deck, (shown in photos below) perfect for relaxing. 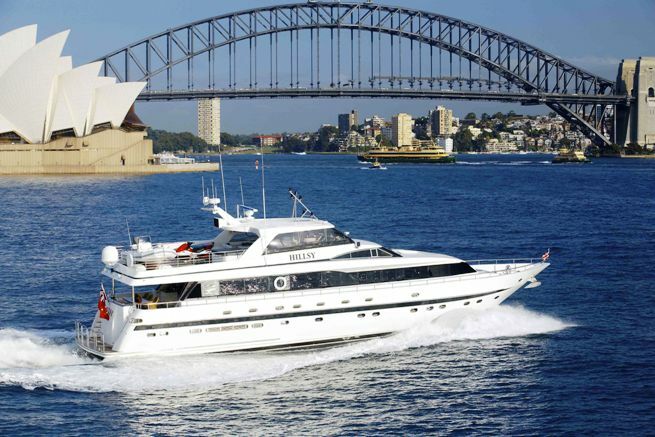 Hillsy has a professional crew of 4 ready to welcome you on board and introduce you to one of the best cruising locations worldwide. 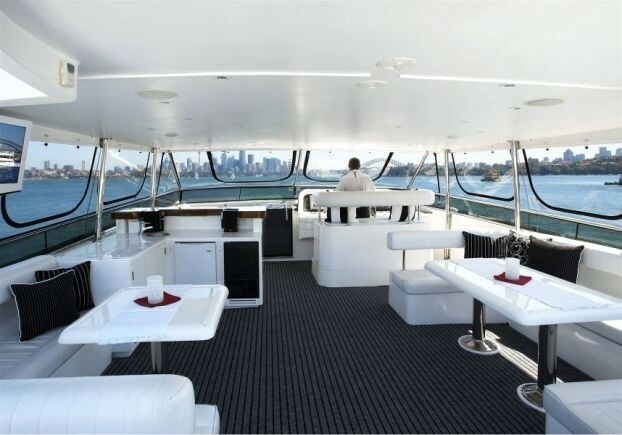 She is powered by two 1350 hp Caterpillar diesel engines and has a maximum speed of 13 knots. 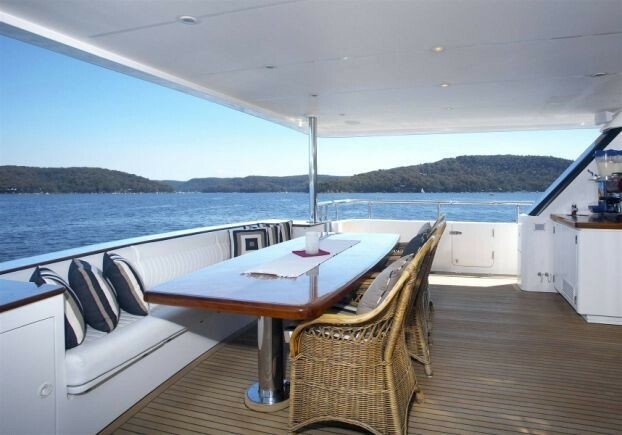 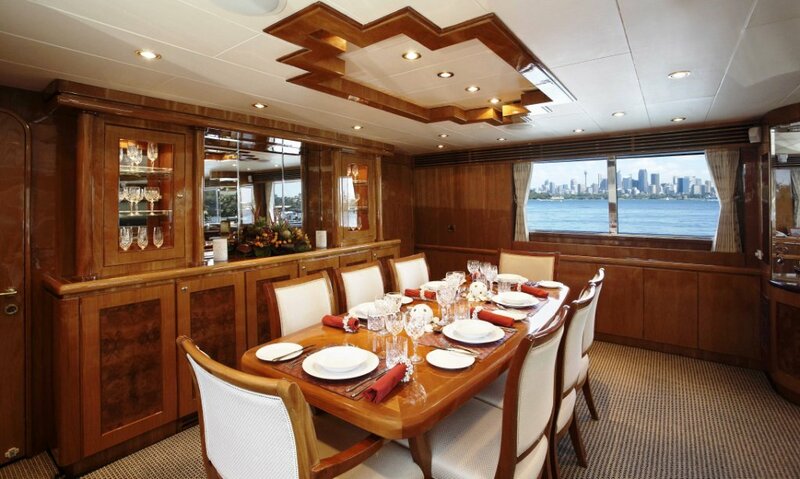 Hillsy can accommodate a maximum of 8 guests in 4 cabins. 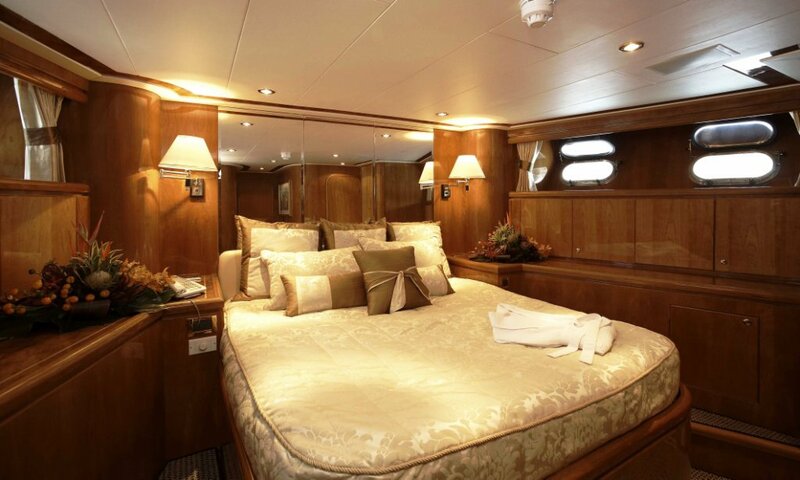 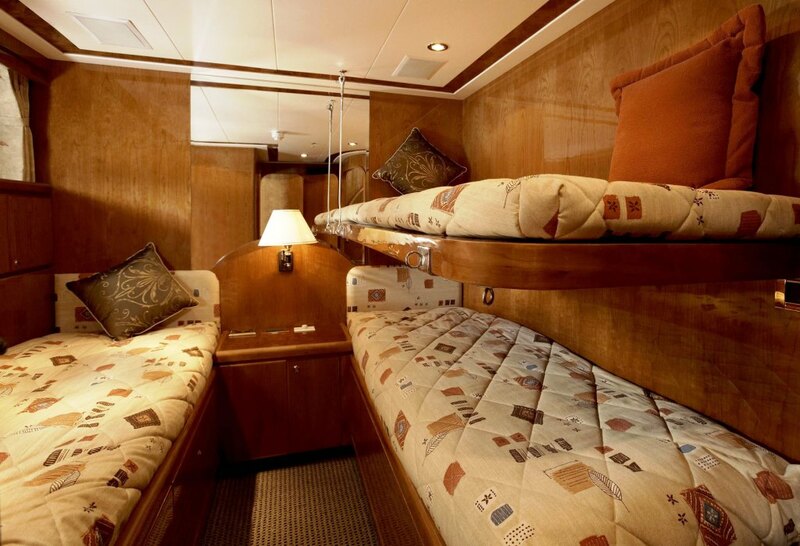 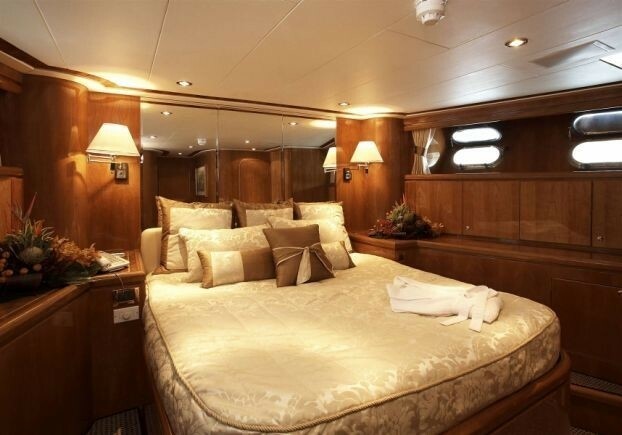 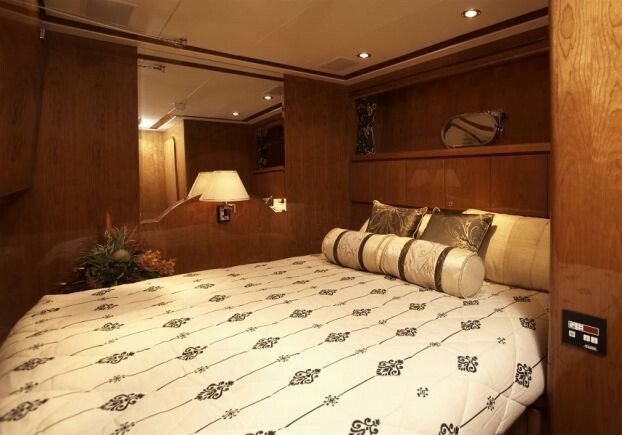 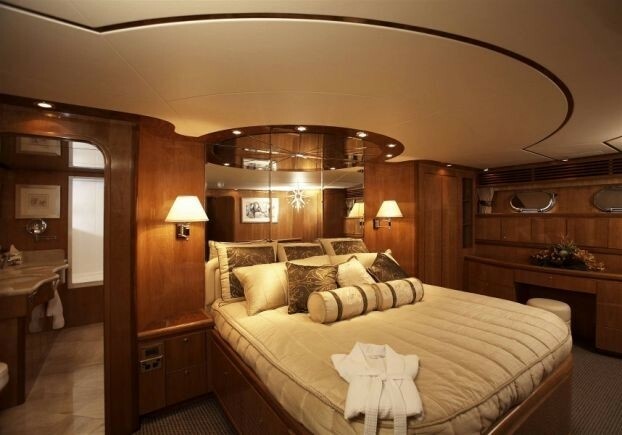 Hillsy has a modern and convertible cabin layout in which the crew can rearrange the beds for different sleeping requirements depending on the charterers needs. 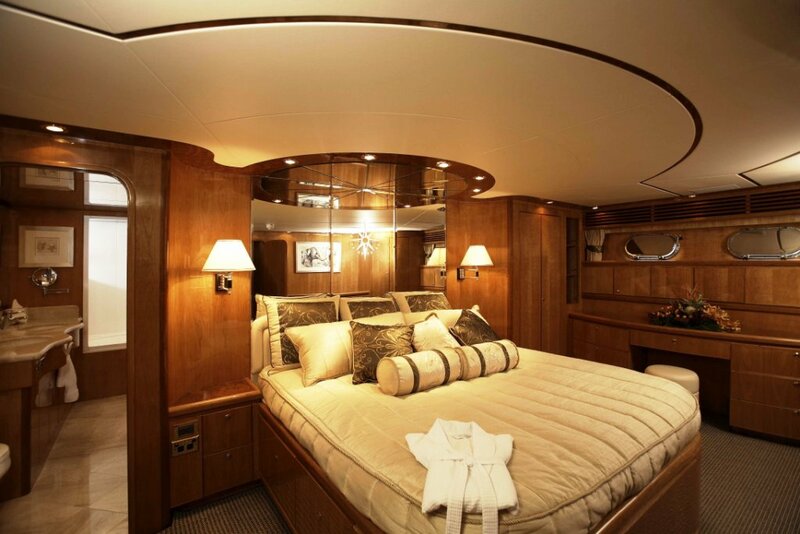 The yacht can sleep 4 couples and two children in Pullmans or 6 children and two couples. 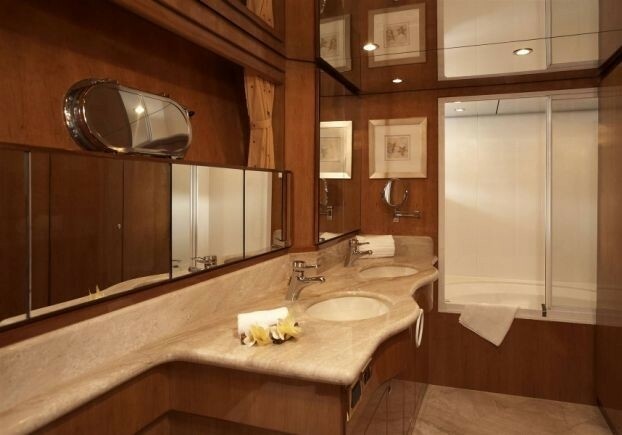 All cabins are appointed with modern ensuite facilities and are air conditioned. 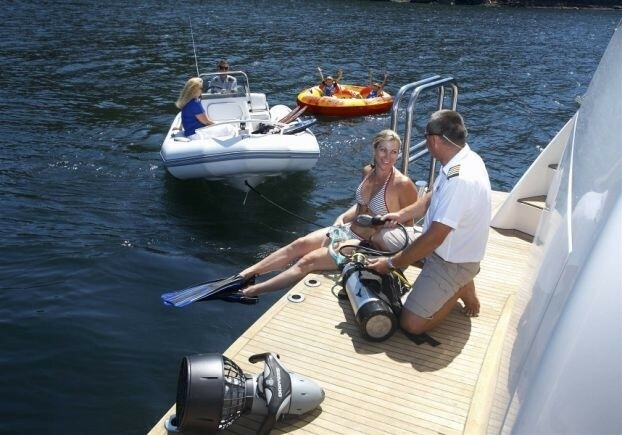 Tenders & Toys and amenities: A 4.8 mt Jet Ski Kawasaki, 5 sets Dive Gear, a Compressor and snorkelling gear, various inflatable toys including a trampoline, Skis and boards, Fishing gear, 2 remote controlled sailing yachts. 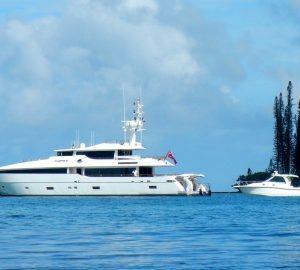 Communications include a Satellite phone and data plus a cellular phone.